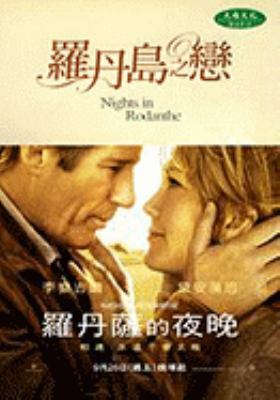 Chinese edition of Nights in Rodanthe. The movie is released in 9/2008 starring Richard Gere and Diane Lane. A surgeon staying in a B&B in a North Carolina town of Rodanthe, attempting to reconcile with his estranged son, was caught in a storm. The accidental inn-keeper with unhappy marriage and snagged relationship with her daughter, is herself in a storm. The two struck a romance that changed their lives. Distributed by Tsai Fong Books, Inc.